'He died like a dog': Mary Pearson, 52, sister of Thomas Eric Duncan, who became the first U.S. victim of Ebola. She believes he was allowed to die in revenge for bringing the virus to America. That an American Laboratory willfully or coincidentally reintroduced the Ebola virus into West Africa through unapproved experiments with monkeys in Guinea is not a far fetched allegation. Many West Africans continue to believe this was done to ‘kill Africans’ and slow the pace of Africa’s thriving populations. The family of Thomas Eric Duncan, the Liberian citizen who was refused care for Ebola in the U.S. and died days later, claim he was deliberately left to die ‘like a dog’ in revenge for bringing the disease into the U.S. Eric’s sister, Mary Pearson, continues to stress her unwavering belief. In an extraordinary interview, grieving Mary Pearson claimed that the deadly virus was created as part of an experiment to infect Africans on the continent – echoing the views of a local Christian preacher, who has since died of the virus himself, who had stressed that Ebola was invented to mitigate Africa’s tripling population. What we have learned is that Ebola was created by an American lab and brought here to kill us off. They sent that virus and infected people here. Then they blamed Liberians for Ebola. They killed that boy for nothing. But let me tell you something, we have been here long before you, we just don’t die, there is an immortality about us, that you will never understand. God will punish you! In this life or the next. Thomas Eric Duncan died in Dallas on October 8 after flying to the U.S. from Liberia three weeks earlier. He was infected when he helped a pregnant neighbour seek hospital treatment. Mrs Pearson continues to insist that her brother did not receive the same level of care as American citizens who had contracted the disease and received treatment in the U.S.
Mary Pearson believes the theory that Ebola was created in a U.S. lab and ‘sent to Africa’. It comes as the Texas Presbyterian Hospital accused of failing in his care was forced to settle with Mr Duncan’s family in a secret deal. Of the 10 people who have been treated for Ebola in the U.S., only Duncan and a fellow medical doctor from Sierra Leone have died, echoing the long standing suspicion that the United States and her allies continue to violate the human rights of Africans and peoples of African descent. Mrs Pearson said: ‘Eric suffered in exile and it really hurts me. They didn’t feel sorry for him. They didn’t give him drugs. They had the means to treat him but they treated him like a dog. Duncan was infected on October 15 when he went to help out a pregnant neighbour, Marthaline Williams, 19, who was sick and needed to get to hospital. 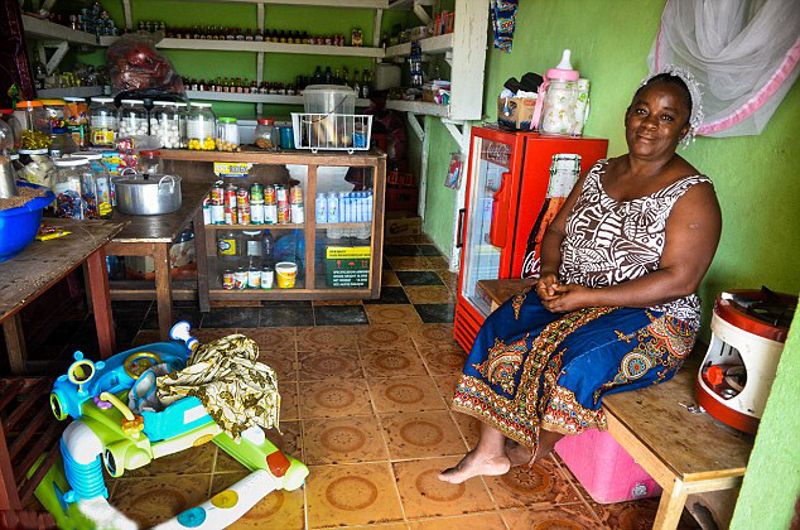 There was no ambulance available so Duncan took her into a taxi and dispatched her to a clinic himself. Williams died from Ebola the following day. On 19 September, Duncan flew to the U.S. to join his family, who have been living there for decades without him. Now, as she dwells on the memories of her brother, Mrs Pearson said she is concerned at the spreading disease in Liberia. Nation of Islam leader Louis Farrakhan insists that an investigation into these allegations are necessary in order to put matters to rest about the spreading virus in West Africa. The U.S. government continues to deny the claims that the virus was designed by white scientists specifically to kill off Africans – a theory repeated by most people in parts of West Africa. 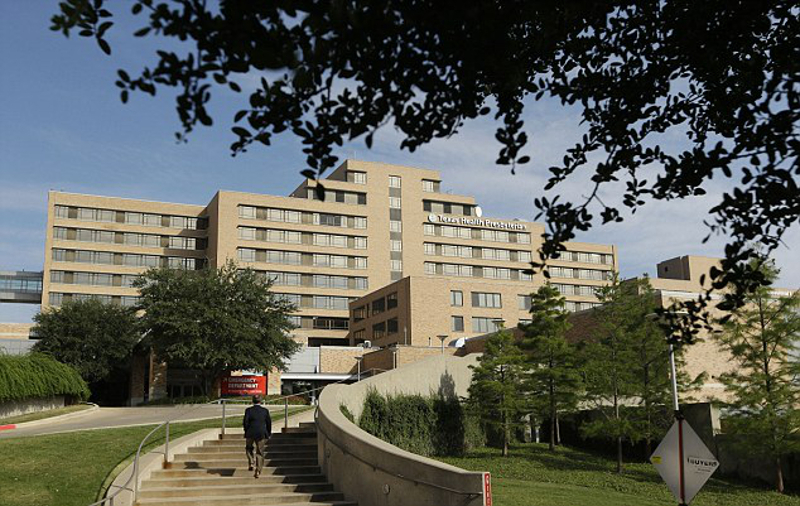 Texas Health Presbyterian Hospital in Dallas reached a settlement with the family of Thomas Eric Duncan but has not provided details. The lack of an investigation into these allegations by the UN, WHO of CHRAJ even, and other international organizations continue to stoke a longstanding distrust of Western medicine. That distrust is rooted in the history of repeated clandestine clinical trials of Western medicines in parts of Africa that do not receive any attention in Western mass media outlets. Mrs Pearson’s fears are fuelled by the fact that Mr Duncan was apparently well when he left Africa, as his symptoms had not yet started to develop. ‘I hugged him and I was ruffling his hair because he was always cleaning his hair,’ said Mrs Pearson. Duncan worked as a driver for a firm which had a contract with FedEx to deliver parcels in Liberia. He had left the job a couple of weeks earlier, said Pearson, after an accident in which he had cut his knee. When he arrived in the US he called home to say all was well. ‘He said pray for me,’ she said. But he gave no reason for asking for their prayers and she did not ask. Duncan presented himself for treatment at the Texas Health Presbyterian Hospital in Dallas on September 25. Despite a high temperature and insisting to nurses that he had recently traveled from Liberia, he was sent home for no apparent. Three days later he was back at the same hospital, this time transported to the hospital by ambulance, only directed by Mr Duncan’s niece, a medic herself, who continued to insist to health workers in the Dallas hospital that Mr Duncan could be suffering from symptoms of Ebola. His condition had deteriorated and the hospital tested him for Ebola which came back positive the next day. He died on October 8. Although they had been in close contact with him, the family in Liberia knew that Ebola was not contagious until symptoms started to show. ‘We knew that he didn’t have the sickness here so we felt that we were OK,’ Mrs Pearson said. ‘But he had interacted with everyone so we imposed a quarantine on ourselves. No-one official came to do anything. They started to hear that other neighbours who had helped the Williams family had also died. 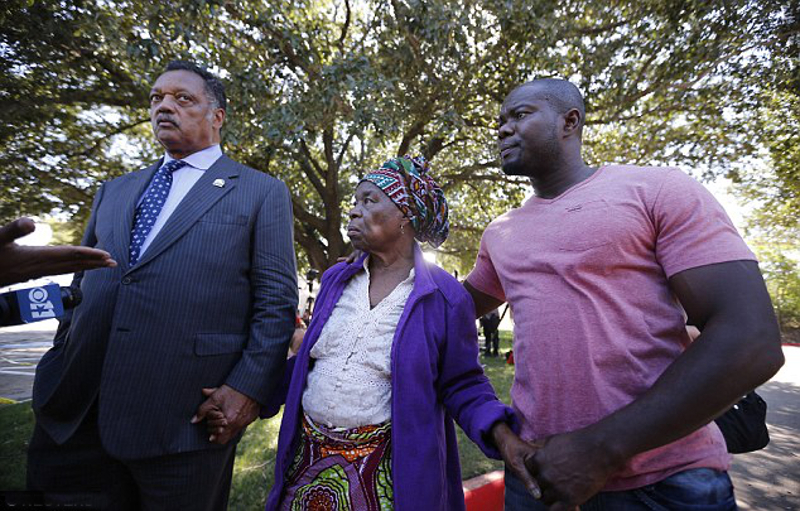 Anger at the hospital: Nowai Korkoyah, the mother of Thomas Eric Duncan, the first patient diagnosed with Ebola on U.S. soil, pictured with Reverend Jesse Jackson (left) in Dallas, Texas just before her son died. Everyone knew Duncan was their relative and everyone was afraid of them, she said. Duncan’s neighbours described him as a good Samaritan who had not hesitated to help his landlord’s daughter. They lived alongside him for another couple of days before he traveled to the US, but they were saved because he was not contagious at that time. His apartment remains locked. No-one has been to spray it. Several people died in the neighbouring house. Those who were not infected say God saved them. ‘Before he left here he was not ill. He helped a girl who was sick, he helped her and took her to the hospital,’ said neighbour Irene Seyou, 31, who lived next door to Duncan in the 72nd SKD Boulevard district of Monrovia. The girl he helped, Marthaline Williams, was the daughter of Duncan’s landlord. She lived in a vibrant green painted house with corrugated iron roofing, just across from Duncan’s apartment building. 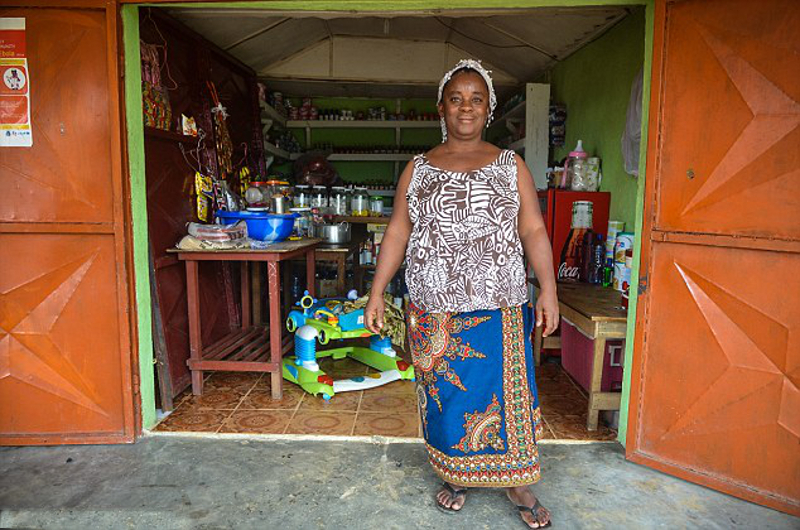 The door is locked – the landlord has been unable to rent the property out since – but Seyou says it is the same inside as her house: one room at the back, a smaller one at the front and a bathroom. There is an airy veranda in front. Not at all surprising that Americans would want to slow Africans population growth. They are trying to do the same within their own borders by white police Ku Klux Klan members hunting and killing young black civilians. The white man’s violence and the white woman’s consent is definitely a world problem. Mary Pearson is right about Africans’ immortality. We were the first to set foot on this earth and we will be the last. That, my friend, cannot be changed. The only two people who have died from Ebola in America are Africans. Sounds pretty suspicious to me. Sadly the World Health Organization is a guardian of the West and not a protector of all the world’s people. There is never an investigation into a Western nation when it is suspected of wrongdoing against an African nation. We cannot continue to act as if there will be justice if we wait for any Western organization. They will never follow the course of justice and will always protect their own interests. Africans must instead seek justice for themselves.